It’s interesting how the situation in which you learn plays a part in the process. I learned all about behaviorism, cognitivism, and to some extent constructivism in undergrad school, and was it ever boring! I instantly shoved that knowledge in the “Save this until the final exam then purge it” section of my brain. Granted, I’m not proud of this attitude I used to have toward learning as an undergrad student, and my end goal was just getting the generals out of the way so I could take the classes I actually wanted. Yet now, as I’ve been restudying and reexamining the major theories of learning — i.e. behaviorism, cognitivism, and constructivism — I find it interesting how knowledge that once seemed so non-applicable suddenly has a deeper meaning, and you have a reason to learn and comprehend it, when it directly relates to your career. I’ve been reading Burton, Moore, & Magliaro (1996), a basic primer on behaviorism and how it relates to instructional technology. Behaviorism is often dismissed as an “outdated” theory, yet its principles are still highly relevant. A couple things have occurred to me. One is that even B.F. Skinner wrote that “knowledge is action.” In other words, the behaviorist view isn’t one of passive absorption of knowledge, though this is a common misconception. It is one where the learner actively engages the world around him, and learns through experience (p. 9). The emphasis is on all the active responses of the learner, and validation of learning occurs only when action has taken place. How is this focus much different than what we currently practice in our schools? We require engagement from our students. An idle student learns nothing. Also, behaviorism is very relevant to modern instructional design, particularly the systems approach. Needs assessments and task analyses are necessarily behaviorist in design. We can’t as easily gauge cognitive patterns or assess thought processes. Rabinowitz & Thaw (2005) provides further illumination on the behaviorist perspective’s relationship to educational technology. Skinner believed that machines are useful for instruction, since students should immediately know whether they are doing something correct or not, and receive appropriate rewards for right answers (p. 50). This is an area in which computers are quite proficient, and they are only becoming more adept at delivering instantaneous feedback to increasingly larger numbers of students at once. 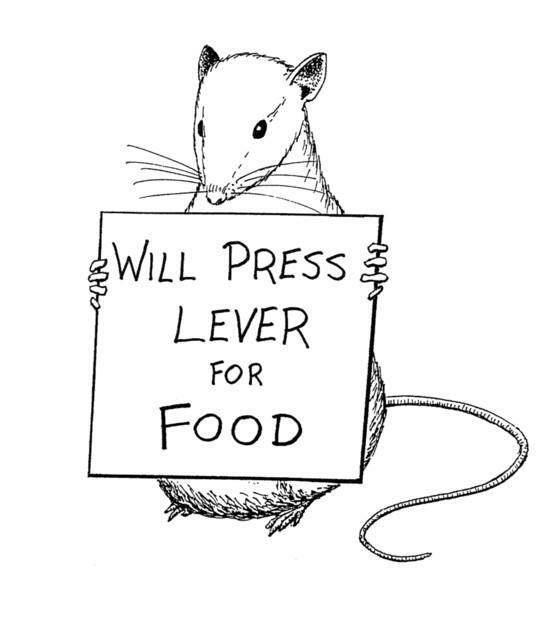 A study of behaviorism is useful when evaluating computer-based teaching methods, that much is clear. On the other hand, Rabinowitz & Thaw (2005) suggest that theoretical perspectives have undergone an “evolution” or “progression” (p. 49). I’m not sure I agree with this. If we are progressing, what are we progressing toward? At its core, particularly in the realm of science, evolution represents adaptive change, not advancement. Approaching theoretical perspectives from a non-progressive angle may provide a more useful framework, because we are not tempted to dismiss the advantages older theories provide simply because we feel we’ve moved on to something better. I think perceiving new theories as a progression undermines the point of learning past theories in the first place, because we may be less inclined to explore the benefits they once and still could bring to the ever-changing field of educational technology. I will be paying a lot more attention to theories of the past and exploring the effects they have had upon our current knowledge of instructional technology, and the advantages and insights they may yet bring to the table, particularly as they relate to computer-based instruction. Reopening a study of behaviorism has particularly been useful for me. Lastly, this past week I was able to lead a lively discussion about a possible shift in epistemological perspectives that is underway. Namely, how knowledge seems to be shifting from being the sole domain of academics and scholars to community-approved in resources such as Wikipedia, and how the Internet is facilitating this shift. This was quite an insightful discussion which demonstrated to me just how powerful the effects of social media have been. If the credibility or weight of academic knowledge (such as in Encyclopedia Britannica) starts carrying the same weight as a Wikipedia article — as many of our students today seem to think — how will this affect the ways K-12 and higher education schools teach students to research? It is possible that citing Wikipedia will not be as taboo in the future as it is now. Since students are using the Internet for learning at younger and younger ages, it’s becoming increasingly necessary to teach our students proper research skills early on, so they understand that even though there may be a shift of what’s “acceptable information,” it does not necessarily mean the information is correct. Burton, J. K., Moore, D. M., & Magliaro, S. G. (1996). Behaviorism and instructional technology. Handbook of Research for Educational Communications and Technology, 46–73. Rabinowitz, M., & Thaw, E. (2005). Psychology, instructional design, and the use of technology: Behavioral, cognitive, and affordances perspectives. Educational Technology, 45(3), 49-53.